Search engraved glass award options for by price, shape, or color. Glass awards come in multiple sizes and colors, so keeping your search parameters broad will provide you with the best opportunity to find options for your requirements. 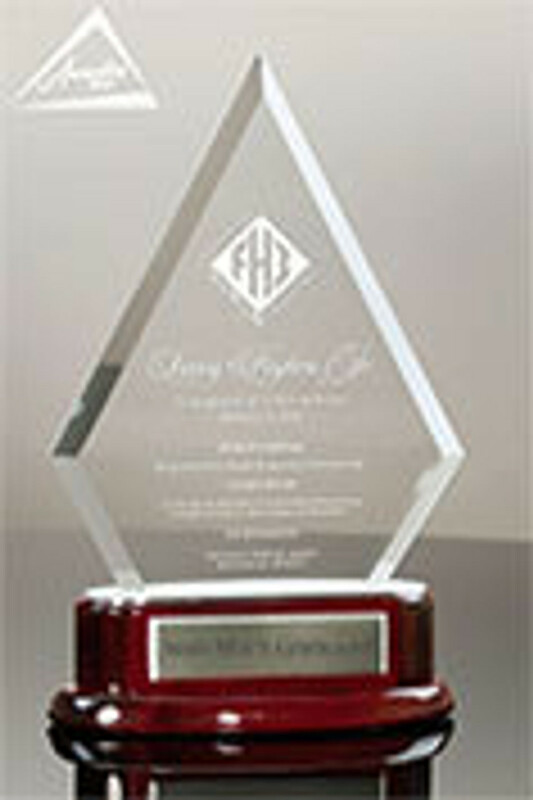 Engraved Glass Awards are very popular for many award categories in businesses and organizations including: Work Anniversary Gifts or Years of Service Recognition, Retirement Awards and Gifts, Performance Awards to honor individual employees, staff, or groups who achieve or exceed their goals such as a sales quota, target margin, and profitability. All awards start blank and are personalized with your award information. Should you have any questions, don't hesitate to call (800-753-3384) or Live Chat, if you need assistance with your search.